On International Literacy Day, I am reminded of something my mother used to say – she said that it is not enough just to teach a child to read and it is not enough to read to children. 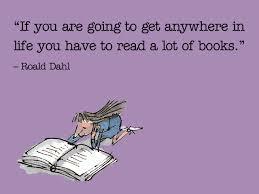 Your child must also see that you read, that books are an important part of your life too. In this way, your child will try to emulate you – be like mommy and daddy – by reading. Parenting is the most busy job in the world. But don’t forget that taking a little time to pick up a book isn’t just a pleasant pastime for yourself – it could make all the difference in turning your children into readers. And then what worlds will open up to them! Oh yes – and get both yourselves and your children library cards! Free access to – well, all the knowledge in the world. And using libraries will help keep them open. Every person registered as a user, every book checked out, gives the government a concrete reason to keep funding libraries.